Carrozzeria Frua is perhaps best known for its design of the Maserati A6G in the Fifties, but the coachbuilder’s first work of art was this; the Fiat 1100 Frua Barchetta. 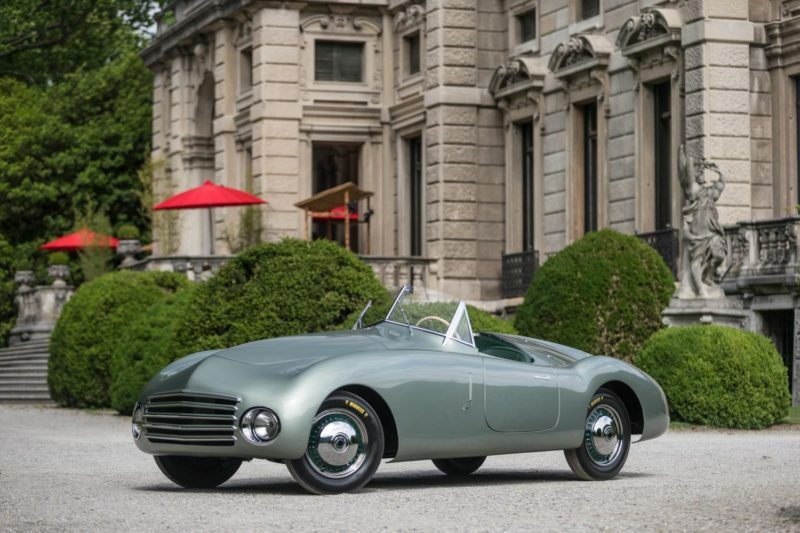 Heading to Concours of Elegance 2017, the Barchetta’s low-slung modern styling belies its 71 years, ensuring it’ll stand out as it appears in the gardens of Hampton Court Palace this 1-3 September among nearly a thousand of the world’s rarest cars. Finished in 1946, the very special Fiat 1100 – a world away from the staid saloon car that left the Fiat factory – was first sold to Luigi Critterio on the 3 September, before being bought by Gino Bubbolini 25 days later. In 1947 it was shown at the Villa d’Este concours, winning a Second Prize of Merit in the process. Clearly the design was as noteworthy in period as it is today. Following a number of ownership changes, including one single owner for 33 years, it was bought by its current holder in 2015. Then painted red, the 1100 Frua Barchetta was taken to Carrozzeria Gatti Luciano to be restored to its original specification and colour scheme. Freshly restored, the 1100 Barchetta will sit alongside some of Frua’s later work in Hampton Court Gardens, including perhaps the most famous Maserati A6G in the world today. The ‘Baillon Barn Find’ A6G 2000 Gran Sport Frua was found, almost completely original, in a French barn in 2015 and will be making its UK debut at the Concours of Elegance. The Concours of Elegance takes place at Hampton Court Palace from 1-3 September. Tickets to see some of the rarest cars in the world, including the Fiat 1100 Frua Barchetta, start from just £25 with concessions from £17.50. Children under five and carers can enter free of charge. Members of the public also have the opportunity to attend on Friday 1st September, a day normally reserved for the Owners of the main Concours cars.